The companion how-to guide to the hit TV series-with advice for anyone starting their own genealogical search. In the groundbreaking NBC series Who Do You Think You Are? seven celebrities-Sarah Jessica Parker, Emmitt Smith, Lisa Kudrow, Matthew Broderick, Brooke Shields, Susan Sarandon, and Spike Lee-went on an emotional journey to trace their family history and discover who they really are, and millions of viewers caught the genealogy bug. With the official companion guide, anyone can learn how to chart their family's unique path. Featuring step-by-step instructions from Megan Smolenyak2, one of America's top genealogical researchers, this book offers everything readers need to know to start the journey into their past, from digging through old photos, to finding the best online resources. Megan Smolenyak is a self-proclaimed “genealogical adventurer” and storyteller who loves pushing the boundaries of conventional genealogy. Her most recent books are Hey, America, Your Roots Are Showing and Who Do You Think You Are? 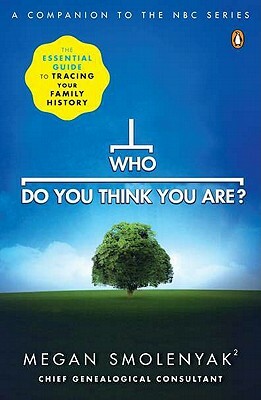 : The Essential Guide to Tracing Your Family History, a companion guide to the TV series of the same name. Since 1987 Wall to Wall Media has been providing groundbreaking, popular, and award-winning programming around the world. Wall to Wall’s output has been recognized with BAFTA and Emmy awards as well as an Academy Award. Wall to Wall’s output spans drama, nonfiction, and entertainment. Its productions are committed to quality innovation and exceptional storytelling.